A presidential aspirant of the Young People’s Party, Prof. Kingsley Moghalu, has appealed to the people of Kano State to join hands with the rest of Nigerians to retire President Muhammad Buhari from Aso Rock in 2019. Addressing thousands of youths during a town hall meeting at the Aminu Kano Center Democratic Research and Training, Mambbiyya House, Kano, on Saturday, Moghalu urged the people of the state not be persuaded by lure of ethnicity and religious affiliation in the face of incompetence, but to do all they could to see that President Buhari goes back to Daura to rest. He maintained that lessons drawn from Nigeria’s experience, has clearly indicated that the thinking that the president must be a relative for one to prosper is no longer tenable, pointing out that while states like Lagos, which did not produce the Presidency, are blooming in economic prosperity, the same cannot be said of Kano and its neighbors, where the president came from. The former Deputy Governor of the Central Bank of Nigeria (CBN) implored voters in the state and the region to go for leaders who have the vision, the merit, the competence and the track record, irrespective of their state of origin and faith. In particular, he said that Nigeria is dire need of a leader with an economic background, who knows what to do to improve the wealth of the nation and enhance the happiness to all. “The reason Nigeria economy and the economy of Kano is bad- the economy of Kano is depressed- is because we have in power people who do not understand economics” he added. 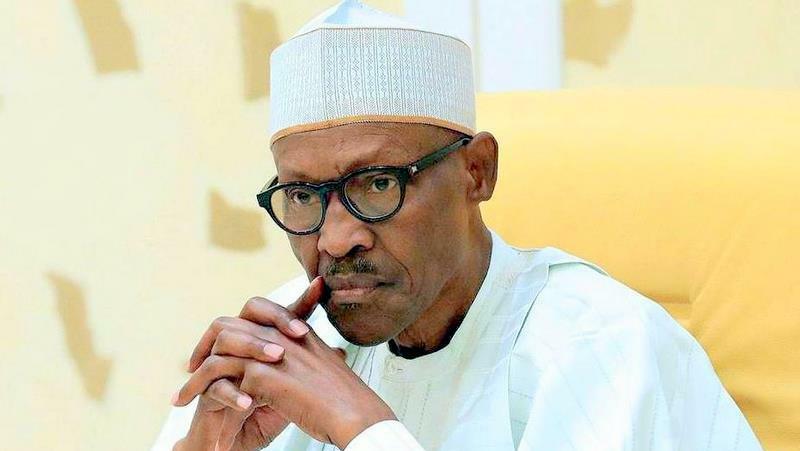 He lamented that Nigeria has the highest population of poor people in the world and warned that its population would double by 2040, saying that there is urgent need for a strong leadership who would be able to generate wealth to take care of the population growth. Promising to transform Kano State to another Dubai if elected, Prof. Moghalu stressed that as the President, states would control their underground resources, youths would have their skills developed, education would be revitalized and health would be prioritised. He promised to float a one trillion capital venture funds which would inject the required capital into the economy, adding that fund would be available to invest in new businesses and ventures that would explode the Nigeria economy. The said Moghalu is ignorant of political existence of this territory natives and its backgrounds. He is ignorant of the fact that there’s no democracy in this natives territory under the dead fraudulent political name Nigeria controlled by fulani fraudulent criminal sultanate political government with its emirates. He is ignorant of the fact that democracy exist only under the natives Disintegrated Republics which must be defended with the Sword in this final conquest of the Liberation Revolutionary warfare of the natives which ends in Sokoto the sit of the satan of this natives territory. God given Victory is the natives. Only the Sword decides. God Is With Us!! !